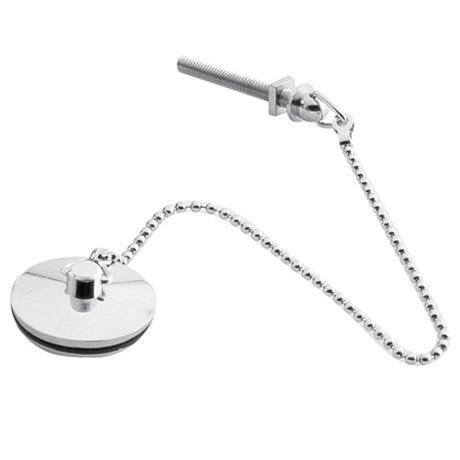 Basin Plug and Chain with chrome finish from Ultra is a standard plug and chain made to a high standard. The plug is manufactured in solid brass. A new waste is necessary to complete your bathroom upgrade. Q. How wide is the plug? 3 out of 6 found this question helpful. Q. Is this made from chromed brass? Hi Rob, Yes this is correct. You can find some other designs which include the lower plug half too by clicking here. "It's a plug, pure and simple, it's got a lovely shiny chain though." Just what we wanted. Came quickly and no problems with product. Great service, speedy despatch and a good price. Enough said.